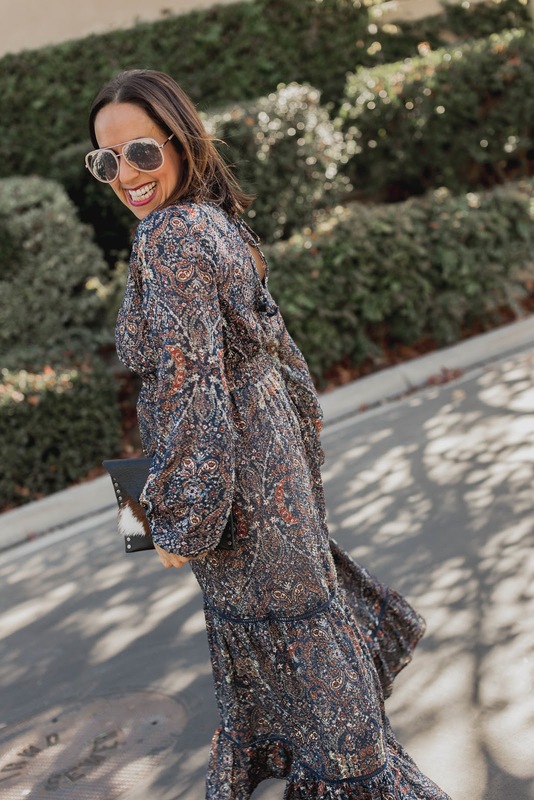 I love the boho style don't you? 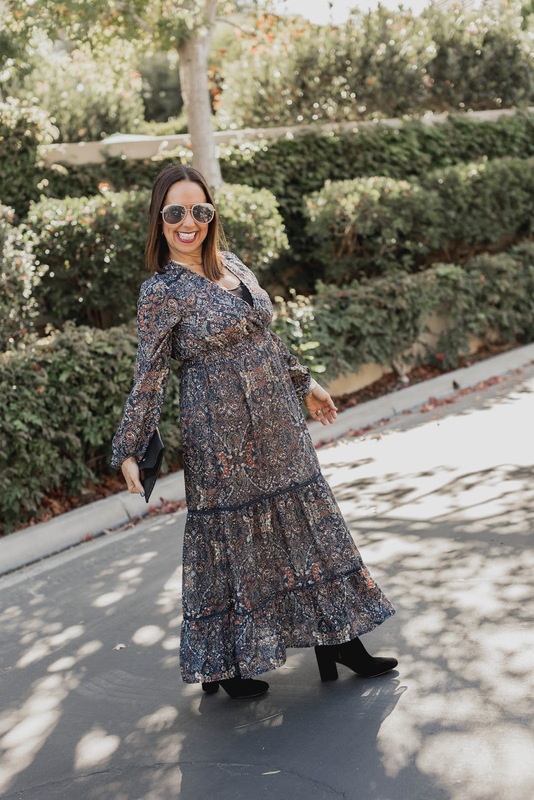 Long flowy dresses with great prints, like this one from Lovestitch are just so fun. I feel like I'm channeling my inner Stevie Nicks. Remember how she wore those long flowy skirts and dresses? So iconic. 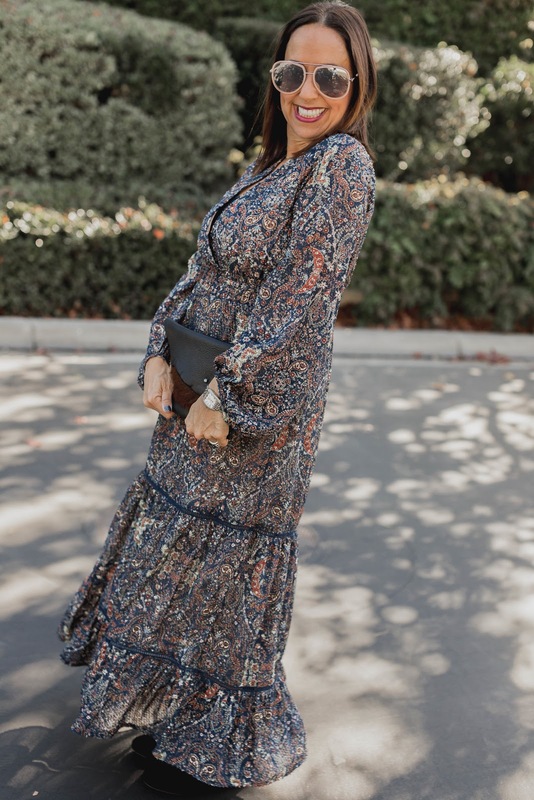 I paired this beautiful dress with some basic black booties (from one of my new fave shops), and my Gorjana necklace. Isn't this adjustable necklace perfect? 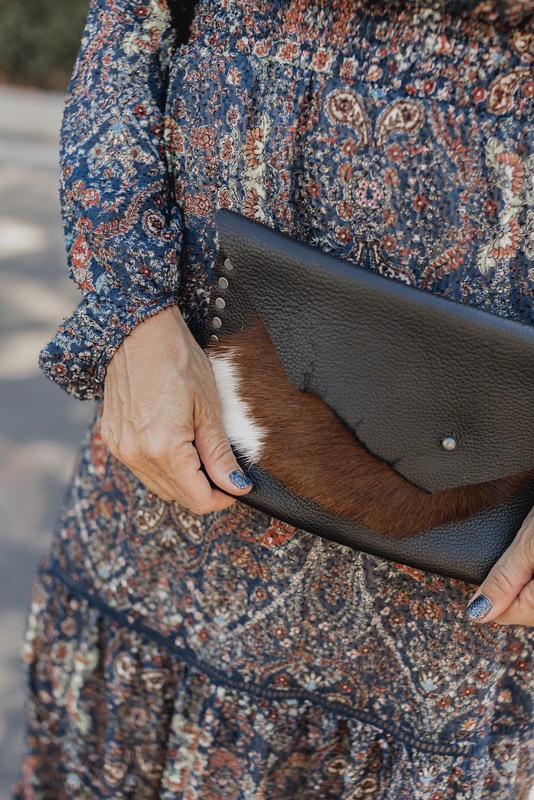 And can we talk about this adorable clutch designed and made by my friend Hannah of @hercollection.style. 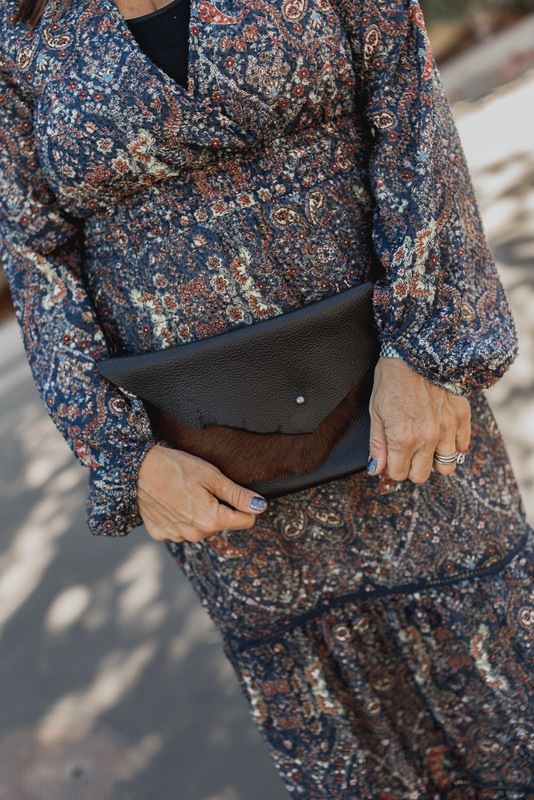 Each HER clutch is an original. Hannah lets the nature of the hide guide her to the finished project. With a branding iron, she marks each clutch with her initials. And how cute is this mini wallet that comes inside? 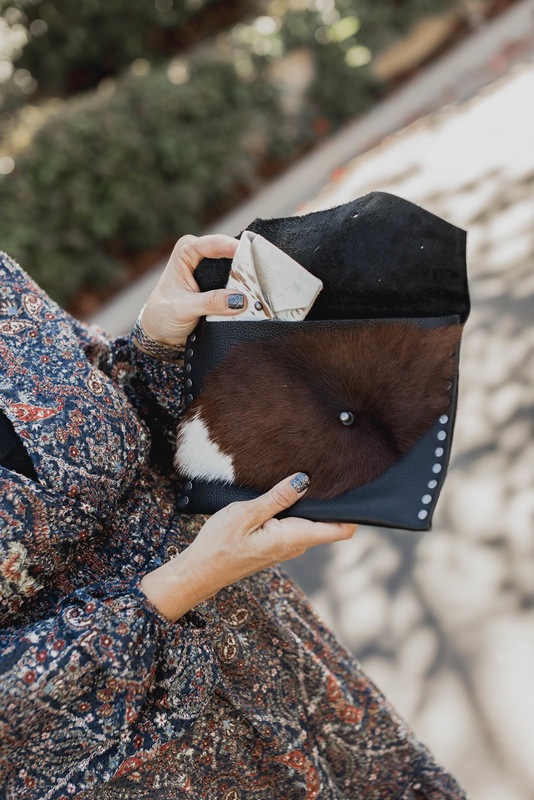 You HAVE to have one of these amazing clutches. I'm absolutely obsessed and I think it makes the perfect holiday gift too. 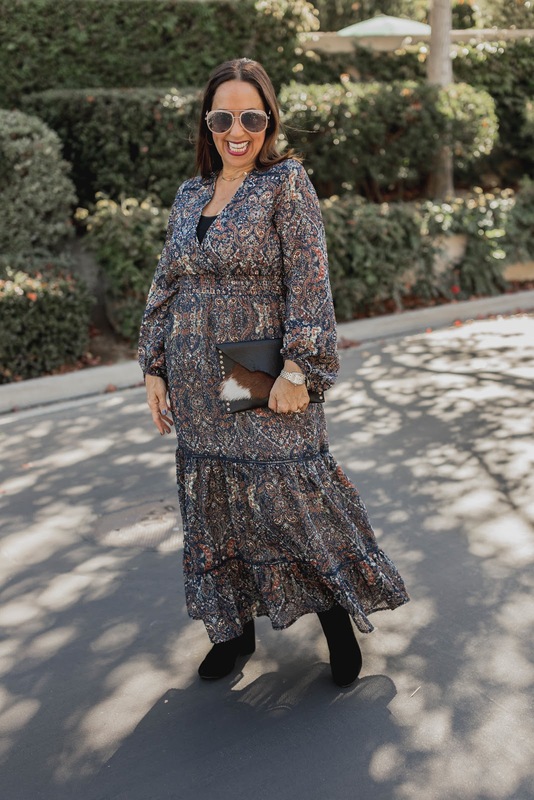 So I hope you add a little boho style to your winter wardrobe. You can even add a great leather Moto with it to make it a bit more edgy. Thanks to Gabi Wells for photos. You can shop this look by clicking on the links above. Happy Reading!!!! Did you have a happy Thanksgiving? I was in Palm Desert with my family and it was such a nice time. My dad is 91 years old and he is AMAZING. I want to be him when I grow up. Haha. And what about those amazing holiday sales? You can check out my post here to shop all the best deals!!!! I love tulle especially for the holidays. It just makes me feel so girly. Can we talk about this cute tulle dress? When I see a funky piece like this, I think about how I can style it and make it fit into my look. I added a plain black tank and some cute black shorts underneath. And I can change this whole look by adding black skinny jeans underneath and a leather jacket. 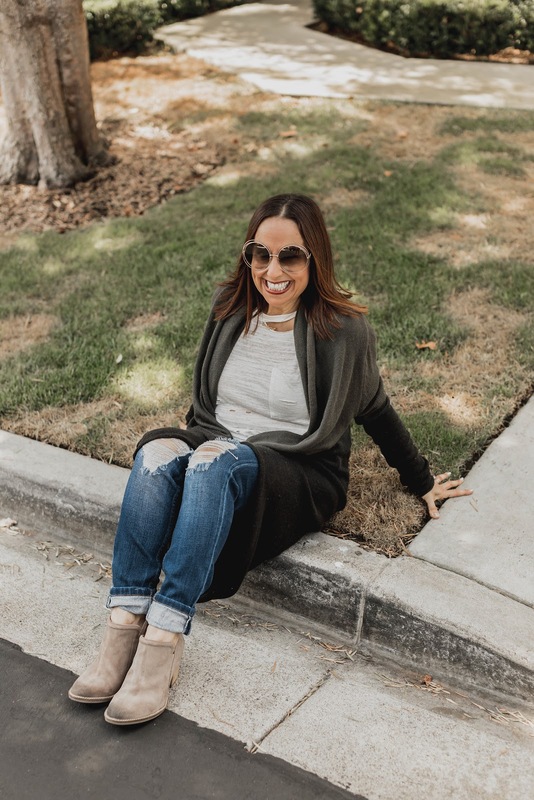 This is such a fun piece that you can change up and create different looks. 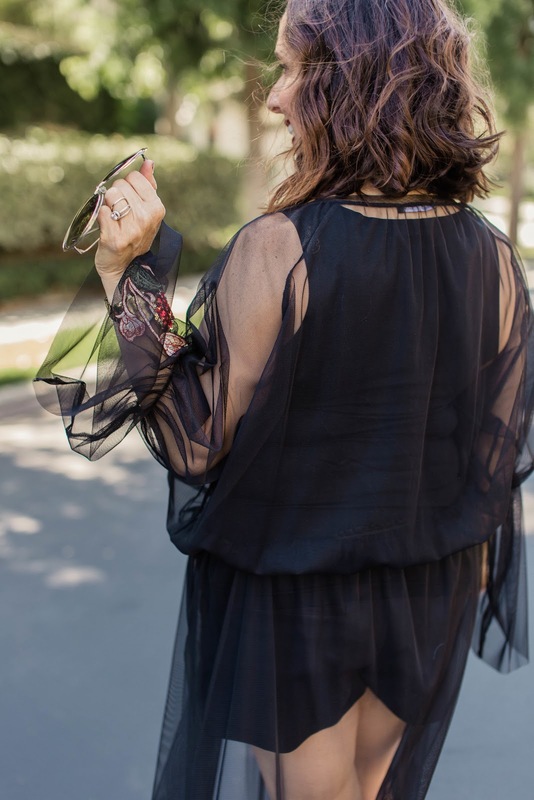 Do you have anything tulle in your closet? Please let me know in the comments. 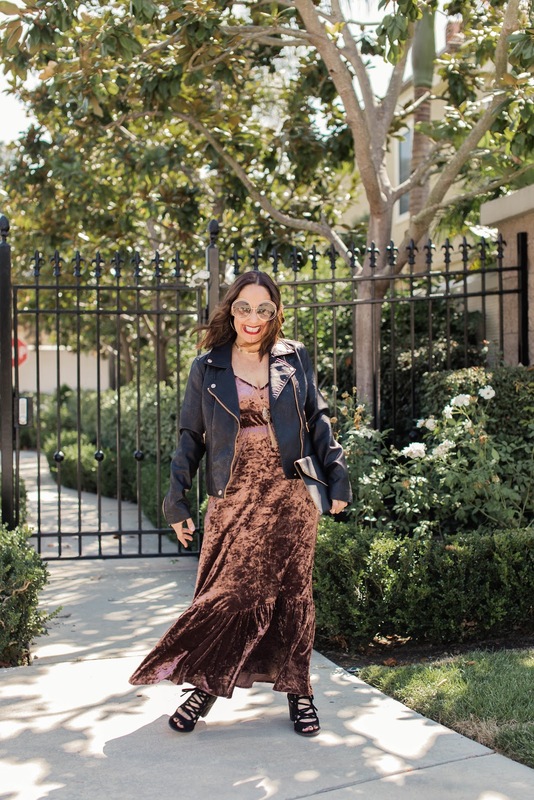 Thanks to Gabi Wells for photos.You can shop this look by clicking on the links above. Happy Reading!!!!! 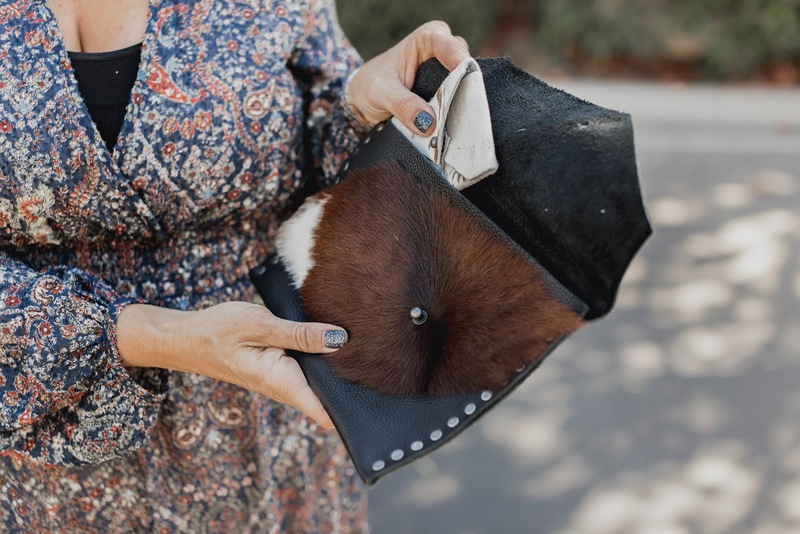 This adorable clutch-- I love everything Clare V but this clutch takes it to a whole new level. I love love this color!!! 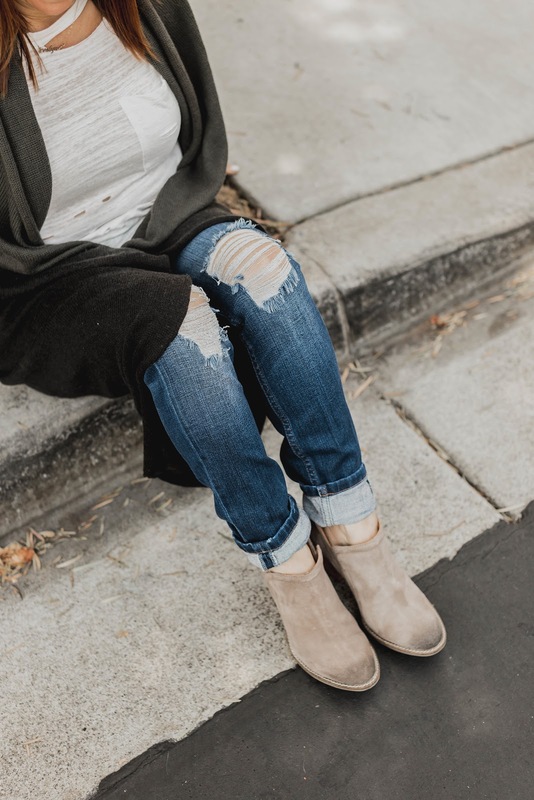 The Best Jeans Eva-- OK have you tried these Re Done jeans? They are fabulous!!! This top is just so cute I can't stand it. This is the perfect striped sweater. So retro right? Every girl NEEDS these booties! They are amazing and go with everything. Just click on these links above to shop these looks. Now I wanted to share with you some of the best deals for Black Friday and Cyber Monday. These are listed below!!! Click on these links to shop your hearts out. SO much better than fighting the crowds in the stores don't you think? I would love to hear all the fun gifts and goodies you purchased!!! Let me know by leaving me comments. Happy shopping and Happy Reading!!!! 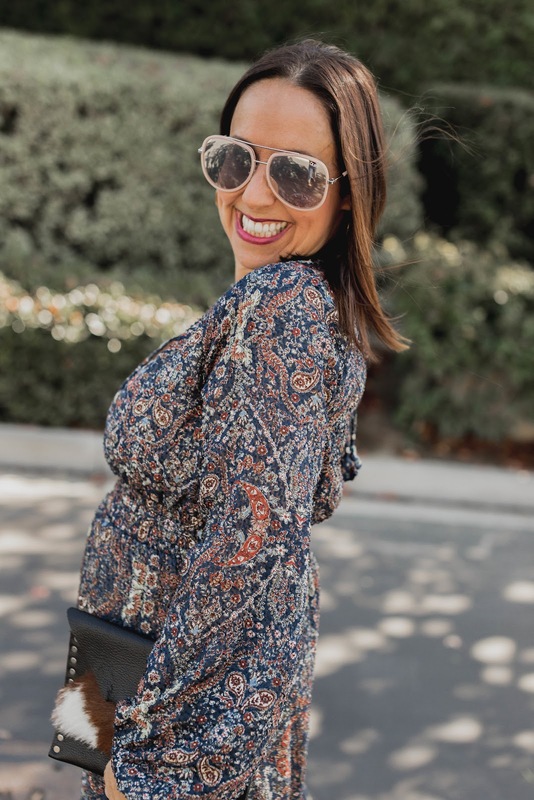 Don't you just love a foolproof outfit? 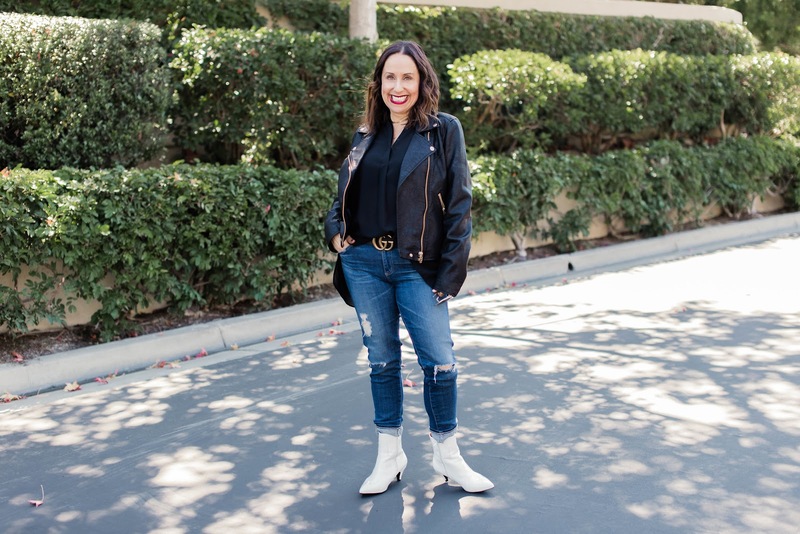 I think every fashion girl needs her go to look and one of my favorite looks these days are a great pair of skinny jeans and the perfect moto faux leather jacket. All I have to do is add a fun little top and some booties and voila, I'm ready to start my day. 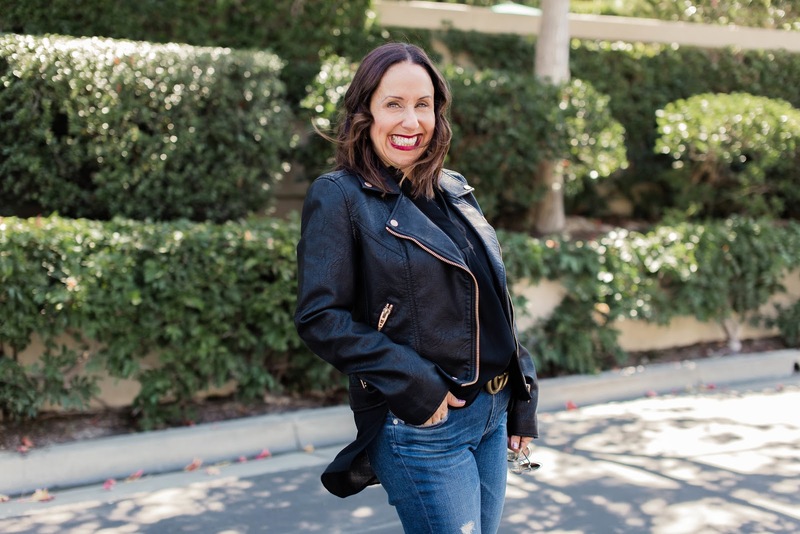 This Moto jacket is one of my all time favorite staples. It literally can be worn with everything. I paired it with some AG skinnies (which fit me so well) and a basic black tee. I added my favorite belt (which I wear all the time) and some adorable white booties. And the perfect way to finish off this look is by adding the perfect red lip. I've shared with you before how much I love Holliegirl cosmetics. I'm obsessed!!!!. You can check it out here. This is such an easy look to put together. I highly recommend for you to invest in a Moto leather jacket and some skinnies and create your go to look. 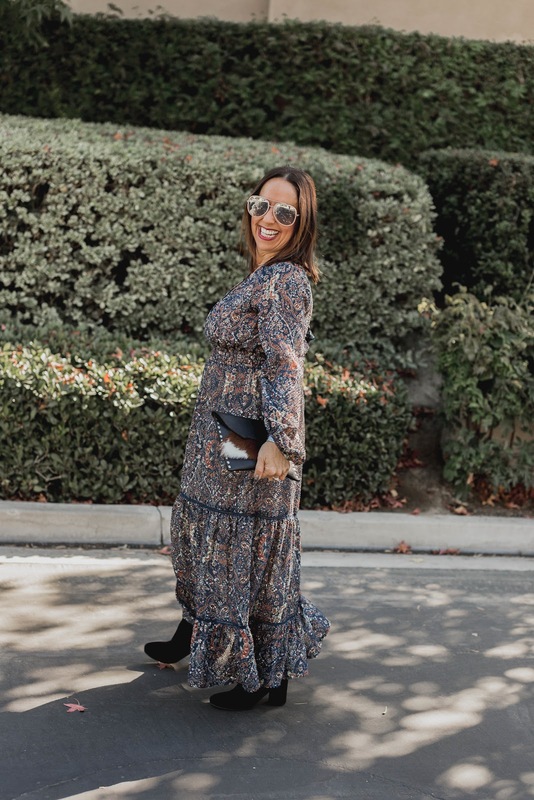 I would love to hear your favorite way to style these amazing pieces. You can shop this look by clicking on the links above. Thanks to Gabi Wells for photos and Happy Reading!!! !